An introductory video on Primescan from Dentsply Sirona. But how much of it is hype, and how much is grounded in practical truth? Over the last weekend in a private meeting, our very own Dr. Michael Tsao spent some time with this new machine and noted both its apparent strengths and weaknesses. 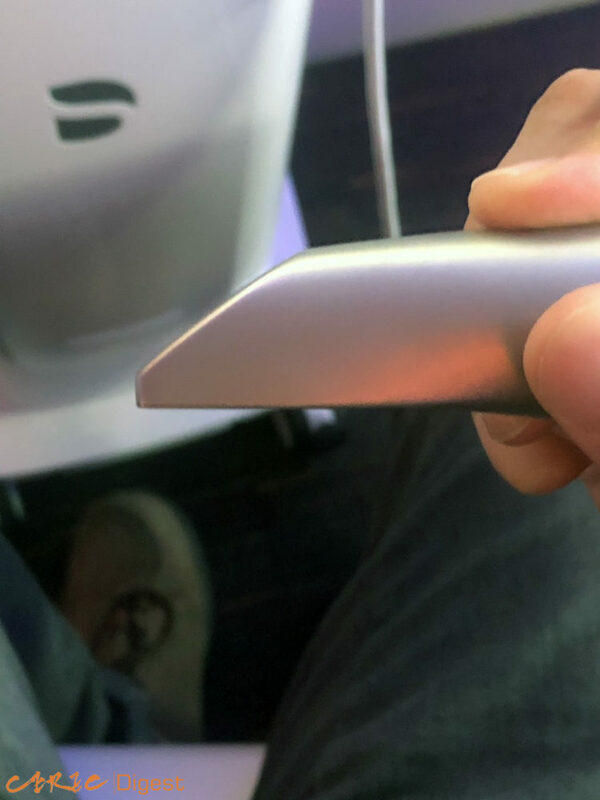 In this article, I will attempt to distill our internal discussions and offer some insights and analysis on this fascinating device. You can read all about its technical achievements and specifications on the Dentsply-Sirona website. 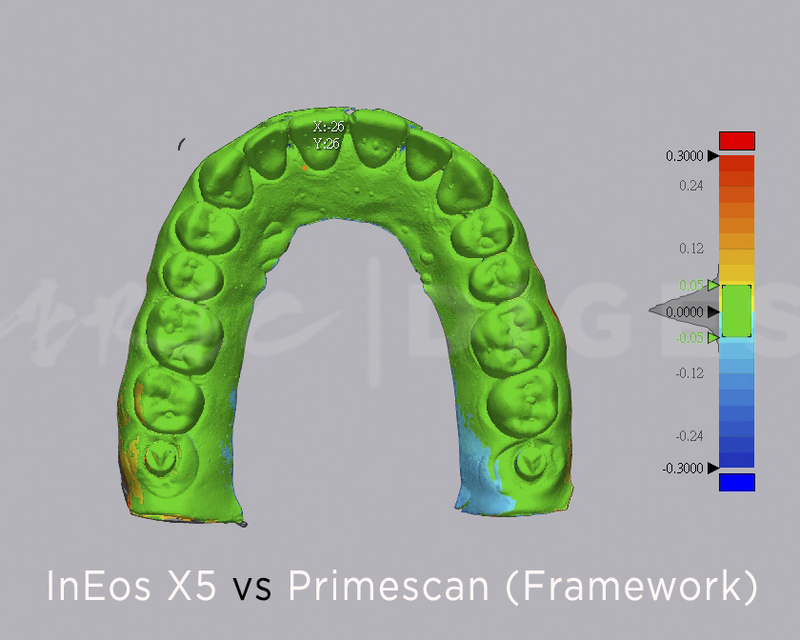 In short, Primescan promises to be faster, easier to use, and more accurate than the CEREC Omnicam. 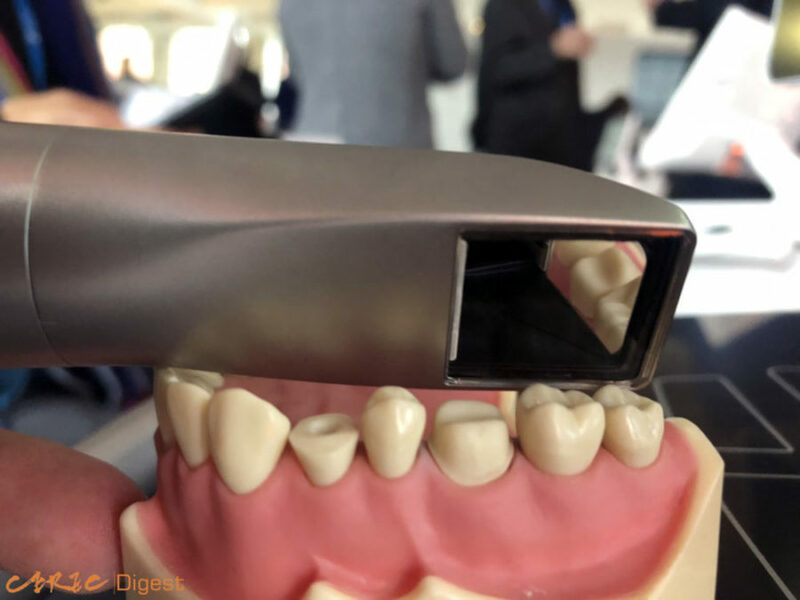 At face value, these claims might not seem bold or even interesting, since every other major brands of intraoral scanners have said similar things about their scanners. This time, however, it seems like these promises are more than just marketing platitudes, as our analysis will show. 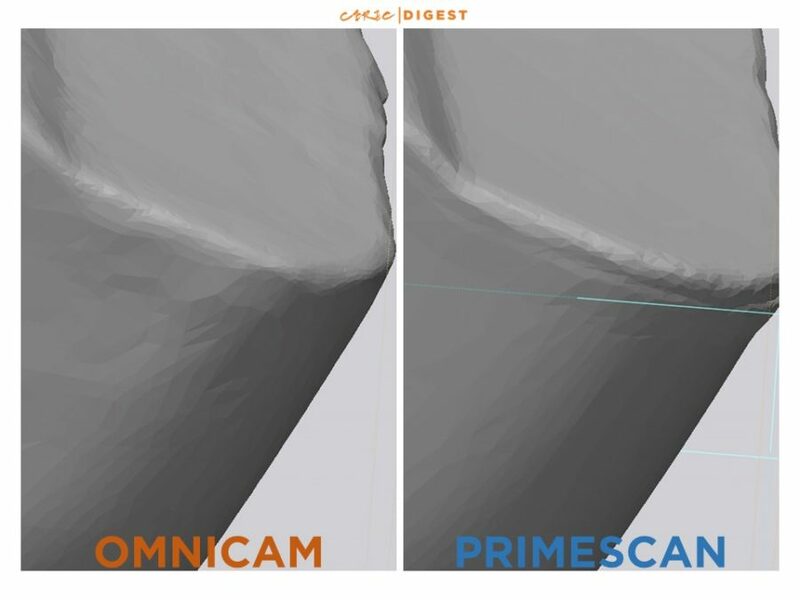 But first, let’s talk about some physical comparisons between the Primescan and the Omnicam. The Primescan kept the same kart design as the Omnicam, albeit with some distinct differences in how you control the user interface. The mouse cursor is now controlled with a touch pad, with two smaller regions underneath corresponding to the left and right mouse buttons. 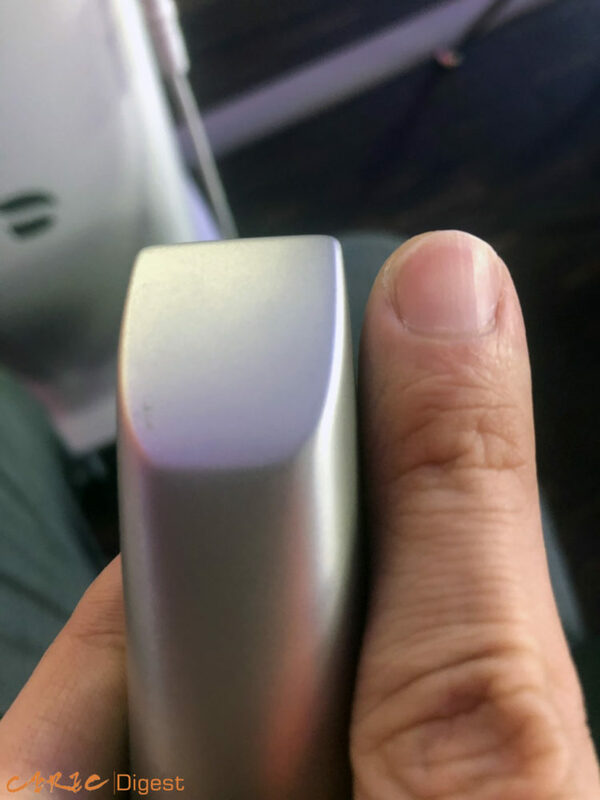 For CEREC users accustomed to the old scroll-wheel, it will definitely take some getting used to. Thankfully for Michael, all those years of making Keynote presentations on his Macbook without a mouse is finally paying off. Not only is the track ball gone, the keyboard is removed as well for a clean and minimalist look. 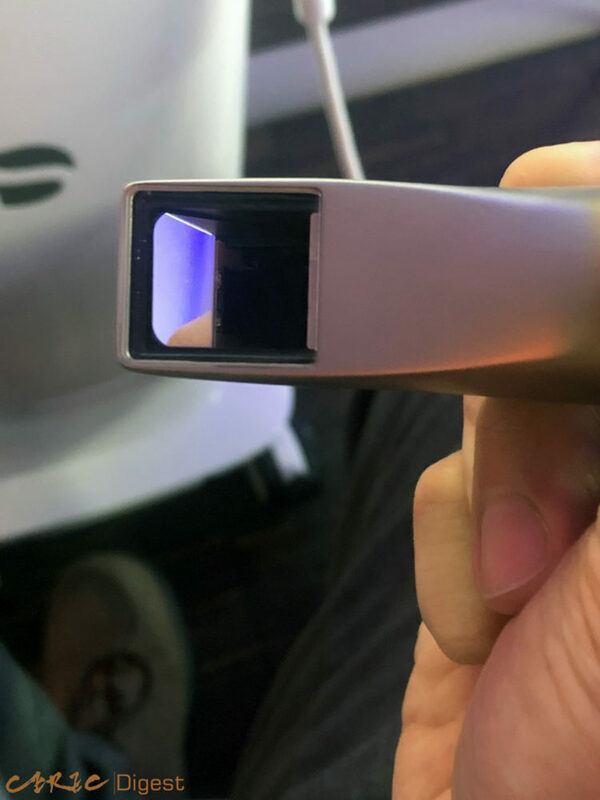 The battery is also apparently larger and actually able to support the use of Primescan without a power socket connection. The new touch screen is also 16:9 instead of 4:3, giving the user plenty more real estate to work with. Personally I’ve had no complaints with the original design on the Omnicam, but these are definitely nice quality-of-life changes. If you want, you can also control the software via the touchscreen itself. The screen is able to move and tilt like the Surface Studio from Microsoft, offering a very intuitive method of moving the 3D models around. One the most common issues we see from new CEREC users at our training center is their struggle with the track ball. It’s nice to see an update that shows some love for users who are probably already masters of the touch screen on their phones and tablets. 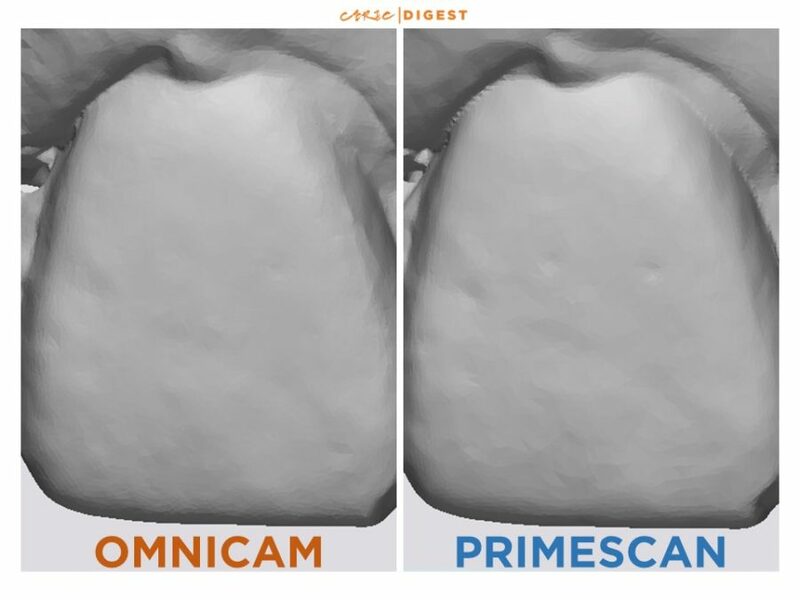 At first glance, the Primescan scanner might be mistaken for an Omnicam due to its similar design and color scheme. But the differences are quite apparent once you hold it in your hand. The scanner head is substantially larger in dimension than its predecessor; the scanning area of the Primescan measures 15 mm by 15 mm, while that of the Omnicam is 10 mm x 11 mm. The mandatory self-scanning demonstration showing impressive capture of details without difficulty. One of the biggest problems with small scanning fields on intraoral scanners is that it places computational strain on the stitching process because the amount of image overlap is smaller. After discarding extraneous noise, sometimes there’s simply not sufficient data left for accurate calculations. Therefore, increasing the scanner capture size helps to preserve more data and thus better full-arch accuracy, and as you can see from the video above, the added bulk seemed have no effect on its usability. Though whether this is true for patients with statistically smaller mouths (i.e. Asian females) remains to be seen. The bluelight used by Primescan has less penetration, and therefore better surface capture. In addition to its larger scanning field, the Primescan also uses specific wavelengths of blue light that, according to Dentsply-Sirona, can more accurately capture the surface data. Don’t confuse this blue light with the CEREC Bluecam, however, as the new Primescan uses a completely new method of image capture. 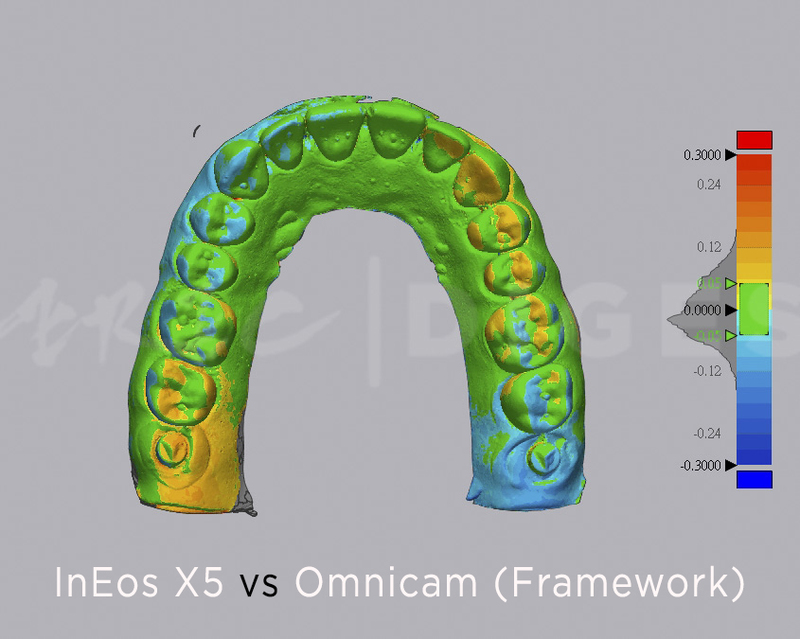 As you will see in our analysis later on in this article, all this technology does seem to make significant differences, at least when compared with the Omnicam. 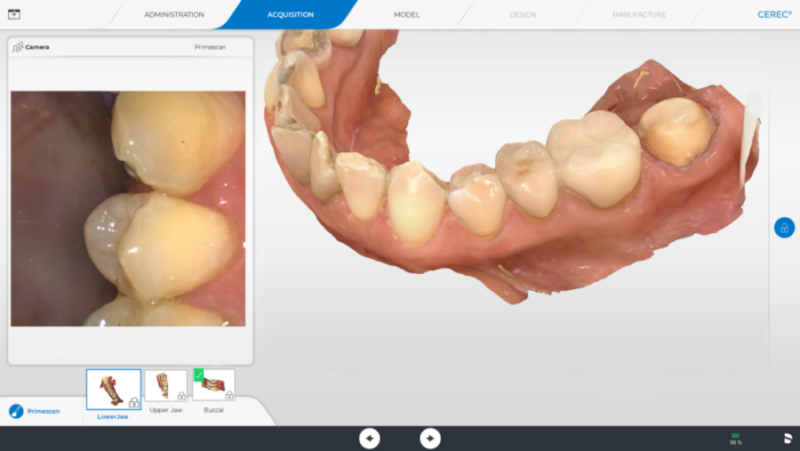 Admittedly, one of the changes that I am most excited about is the new design of CEREC 5.0 software. The blue background and button designs used in previous CEREC 4.x definitely looked dated (it was released in 2012, to be fair). Personally, I think they did a good job cleaning up the software interface. During the event, Dentsply-Sirona placed heavy emphasis on the new A.I. in the CEREC software. A recent example of A.I. 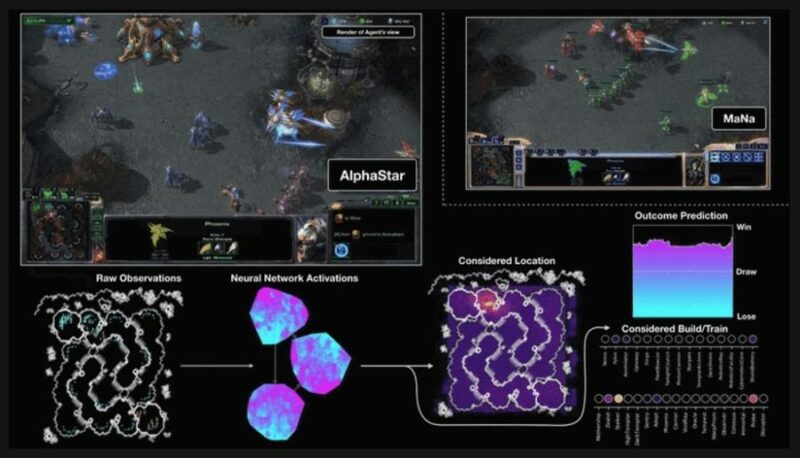 (for Artificial Intelligence) in the news is the AlphaStar from Google Deepmind that defeated two of the top Starcraft II players in a game thought to be impossibly complex for artificial intelligence. It was able to achieve this amazing feat by supervised training through millions of games. But in recent years, the word A.I. has become this overused marketing buzzword that conflates different categories of the technology into one general term. To make things more confusing, “A.I.” can technically refer to any kind of software that mimics intelligence and decision making. The old CEREC 4.6 also had “A.I.”, and look how that turned out. AlphaStar’s neural network lighting up as it makes tactical decisions during a game of Starcraft II. 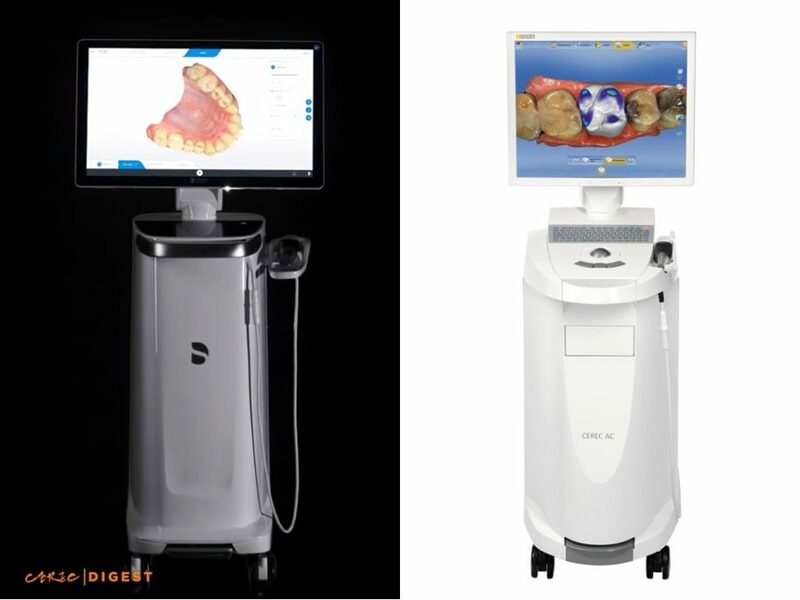 And that’s why it’s very exciting to see the new CEREC 5.0 A.I., because it is capable of self-learning. So the more time you work with it, the better its automatic margins and restoration designs will be. 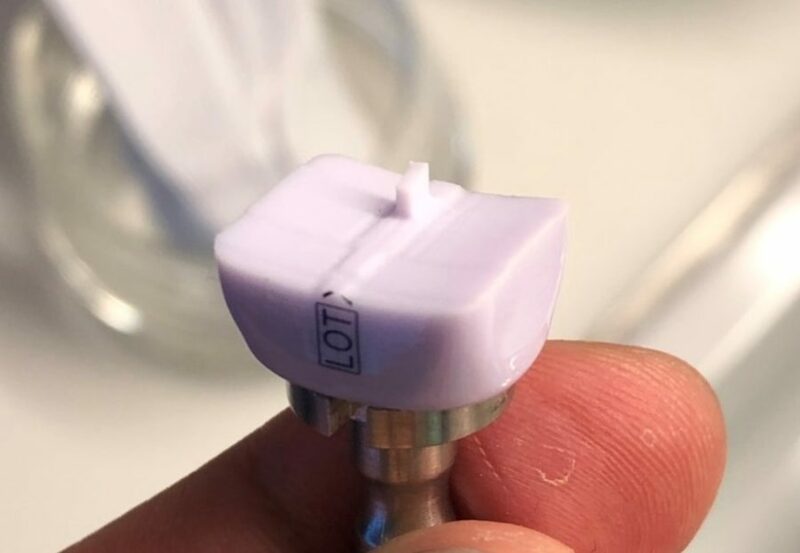 The even better news is that the learning processes is aggregated and centralized at a main server controlled by Dentsply-Sirona, then distributed to all the end-users. 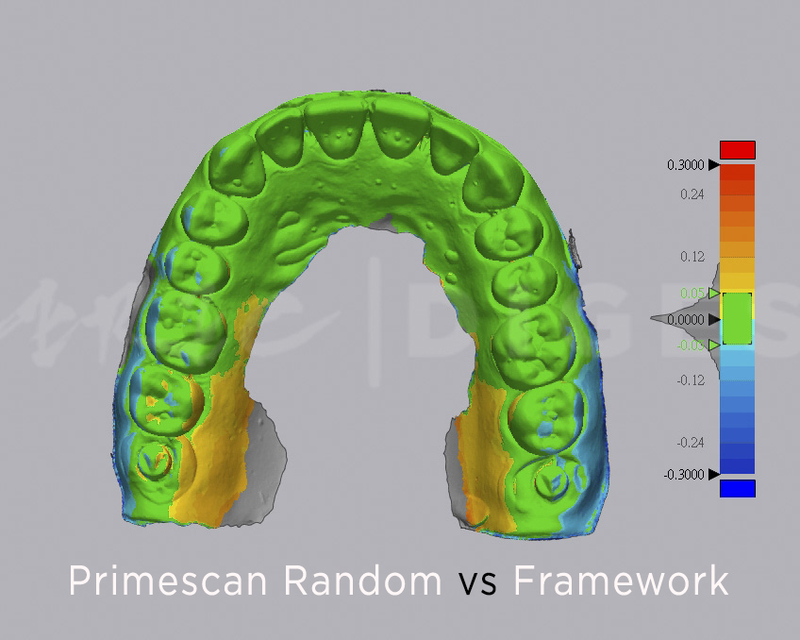 This means that as a new Primescan or Omnicam owner, you can immediately take advantage of the most mature and smartest version of the software, trained by dentists all around the world. So about those three claims made by Dentsply-Sirona, let’s take a look at each one by one. Yes. Primescan does feel noticeably faster than the Omnicam, but keep in mind that the Omnicam is currently already one of the fastest scanners available. So how fast do you need, really? Is Primescan easier to use? Yes. As a veteran Omnicam user, Michael had no trouble adjusting to the Primescan on the first try. The new scanner’s large imaging area and increased depth of field (up to 20 mm) seems to keep the image capture more continuous without breaks. Note that the scanner is also bulkier and heavier, so if you’re not into heavy scanners this might be a small issue. 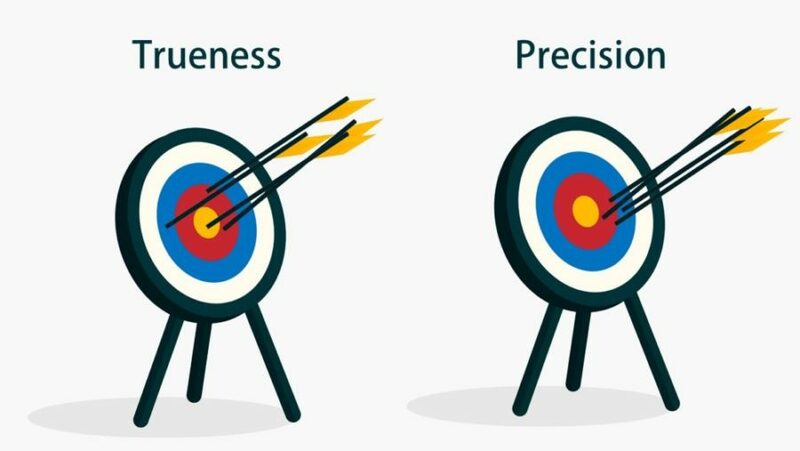 Illustration of trueness vs precision. Local accuracy values for desktop and intraoral scanners. Source: Heike, 2016. For global accuracy, the numbers are a bit more interesting. You can think of local accuracy as how good a single restoration fits. Global accuracy, then, is how well a full-mouth appliance (i.e. clear aligners, bite plates, implant frameworks) fits. So an accuracy value as close to zero (perfect representation of reality) is desired. First, a global trueness of 32 microns is very respectable. For context, a study in 2017 compared four intraoral scanners and found that their global trueness ranged from 45.8 to 61.4 microns. Comparison of full-arch precision by Imburgia, 2017. Now you can definitely find studies that shows even better results for a lot of scanners, like this, this, this, this and this study. Keep in mind, however, that there are a few ways to do global accuracy calculations (but let’s not get into it for now). For the purpose of this discussion, we can get a sense of a scanner’s performance based on relative values, and Primescan’s results are looking pretty good. But numbers and figures can be misleading, especially those with business and financial implications. So we decided to test it for ourselves. As I mentioned earlier, local accuracy is about how much surface detail can be reproduced accurately. 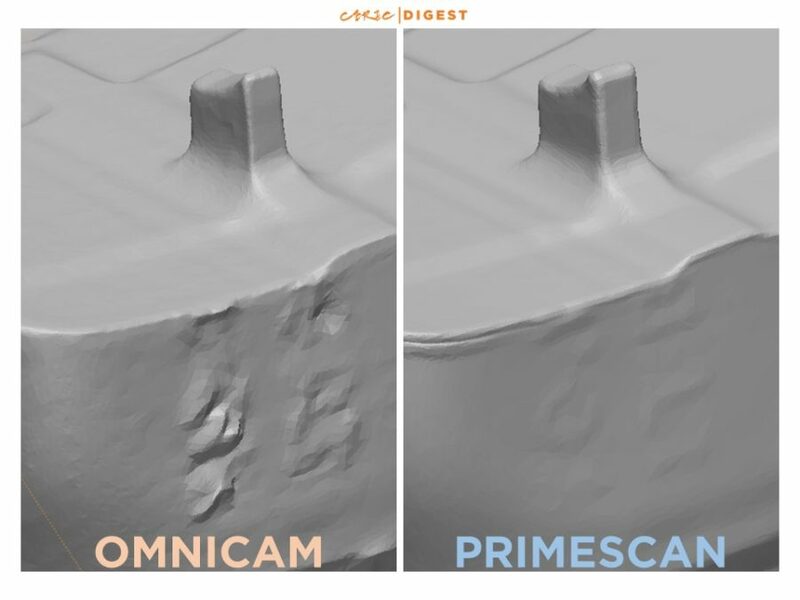 To start off, here is a close-up of two scans by the Omnicam (left), and the Primescan (right). At this magnification, you can see that the dimples on the buccal surface of the central incisor is better reproduced by the Primescan. Also, near the top right of each scan, the cervical margins are also much more pronounced in the Primescan. The STL file sizes is a quick way to check the mesh density (or “resolution”) of similar 3D models, and all the files sizes were surprisingly very similar. So how is it possible for Primescan to be more “accurate” if it doesn’t use more data for representation? The following image is the same as the one above, but with the mesh overlay on top. Notice that even though we could visually see that Primescan had more surface detail, its smoother surfaces use much larger triangular meshes. This allows the STL file to become more dense in places where the detail really matters, like the dimples and the cervical margins. 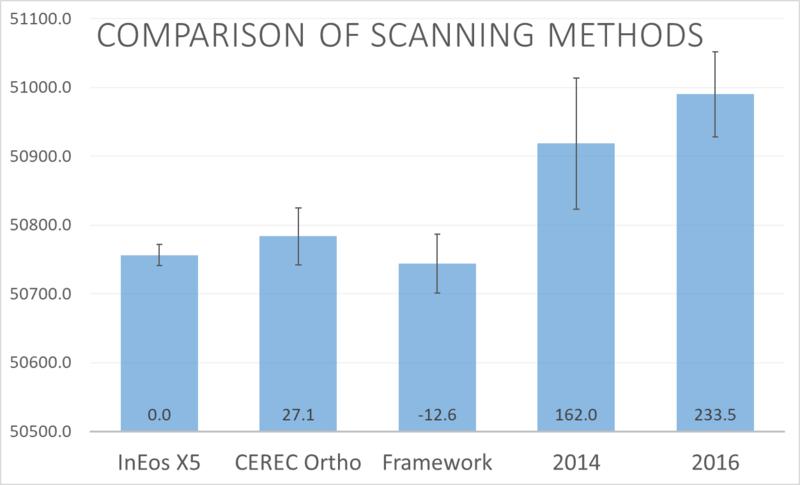 Assuming that same conversion method to STL is used in both cases, we think that this result has to do with the Primescan capturing lower levels of noise than the Omnicam. Therefore, while the resulting mesh density (or “resolution”) isn’t noticeably different, a better signal-to-noise ratio allows the Primescan to preserve more detail. One of the Omnicam’s issues is that the sharp edges (i.e. less than 90 degrees) tend to be more rounded in the scanned result. In fact, there is a study for this particular phenomenon. 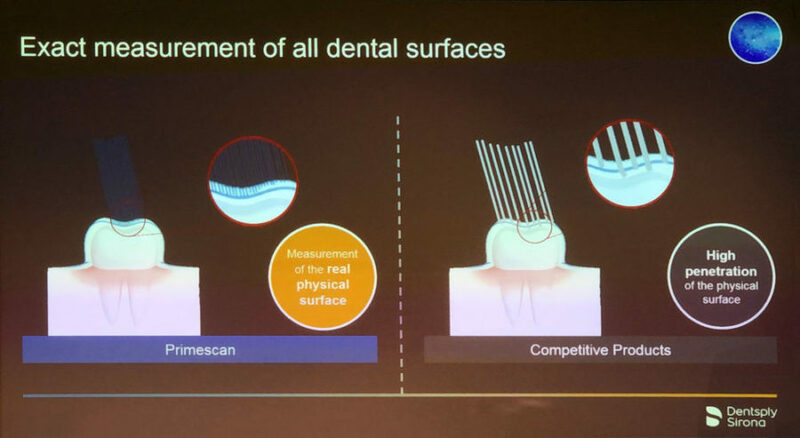 During the presentation, Dentsply-Sirona also made an effort to point out how the Primescan can capture edge details better. Naturally, we put that claim to the test. Immediately we can already see a difference in detail between the Omnicam and the Primescan. Notice also that the vertical surfaces are also smoother on the right (Primescan). If you’ve ever used an Omnicam, you’ll know that a lot of times it has trouble with dark spots, like stains on the enamel, or blood, or magic markers. The dark lettering on the ceramic block is no exception, as you can see on the left. For the Primescan, this seems to be less of an issue. Up until a few years ago, intraoral scanners were still shown to have less full mouth accuracy when compared with PVS double impressions. Soon later, studies began to notice that it’s not just what you scan with, but how you scan that matters more. At CEREC Asia, we developed our Framework Scanning Method back in 2015 when our own research indicated that global accuracy with the Omnicam is heavily technique-sensitive. Our results showed that the difference between using Framework Scanning and scanning randomly can be over 200 microns. The first set of data is our baseline, the second set is the test group, the third set simulates a user new to using the intraoral scanner. Here are the results of the three comparisons. The method shown in the above three images, called superimposition, overlays one model onto another and shows how much they differ using a color spectrum (legend on the right). The green regions are where the models match (within 50 microns), and thus are more accurate. There is also a histogram attached to the spectrum legend on the right showing the distribution of deviations. In short, the tighter and narrower the distribution, the more accurate the overall result. Primescan scans are cleaner and less noisy than those from the Omnicam. Primescan is able to preserve more local details than the Omnicam. 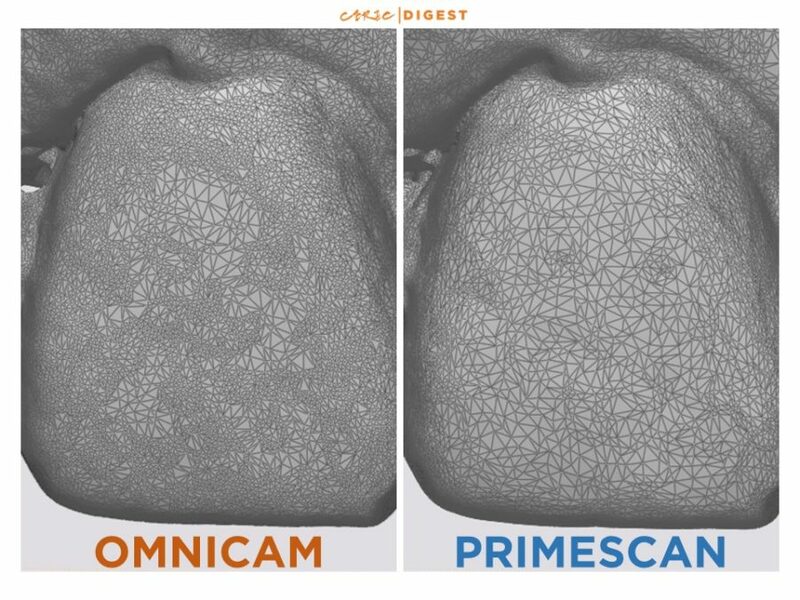 Primescan is able to achieve better global trueness than the Omnicam even with Framework Scanning, but both are more than clinically acceptable results. There is no significant difference in global accuracy between different methods of using Primescan. Since the above results comes from the same scanner twice (albeit with a different method), you can think of it as a very very rough precision estimation. 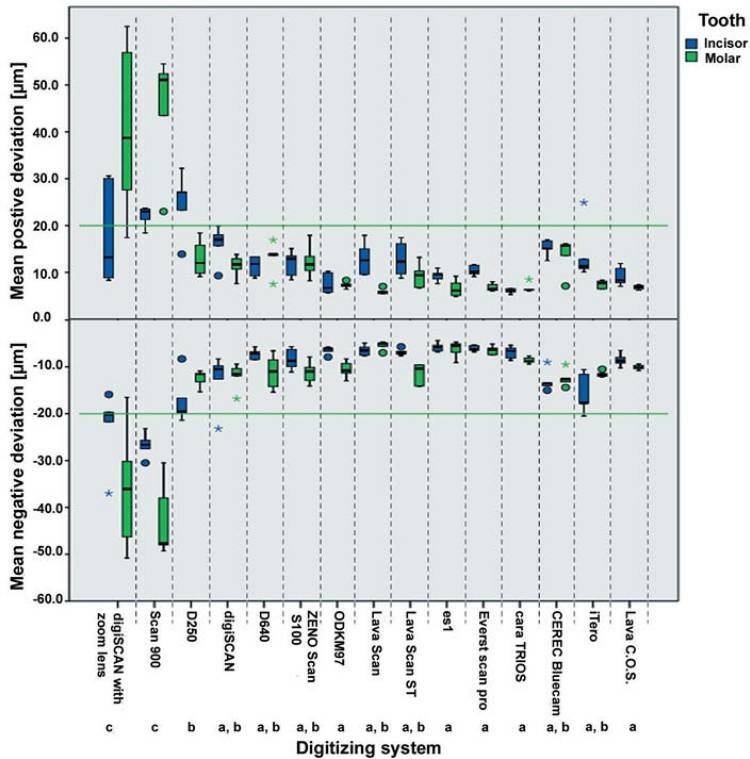 More data is definitely required, but from our very rough tests, the Dentsply-Sirona claims of 30-ish microns of trueness and precision seems to hold up quite well. For those of you who are interested, these average values are calculated by sampling between about 600,000 and 800,000 polygons per model. First of all, apologies for going full nerd, but it sometimes happens when I see interesting tech, and the Primescan is certainly one of those times. So please accept my sincerest thank you for wading through all that and getting to this point! 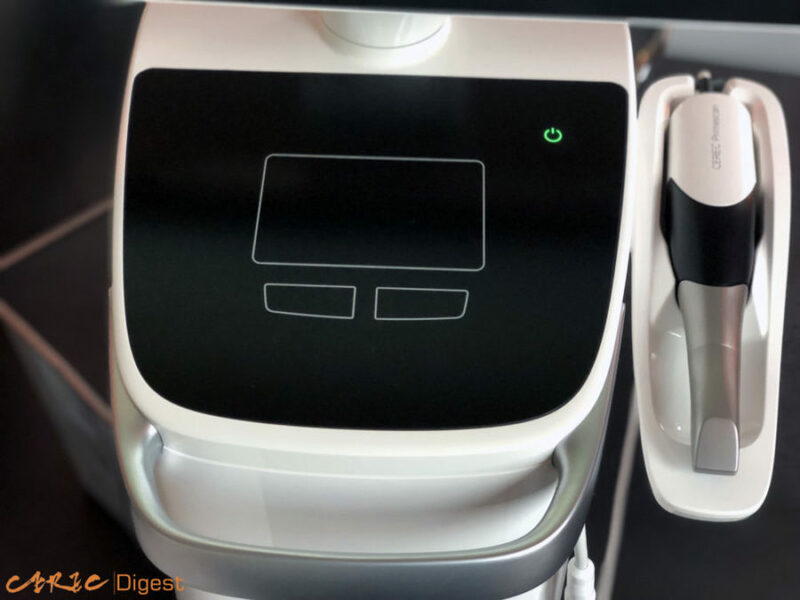 The release of Primescan at this time, along with its complementary software, is intriguing because it signals Dentsply-Sirona’s push to capture a bigger DI (digital impression) market from other intraoral scanners. While in this article I focused almost entirely on the scanner, it is actually just the gateway into a whole slew of systems. 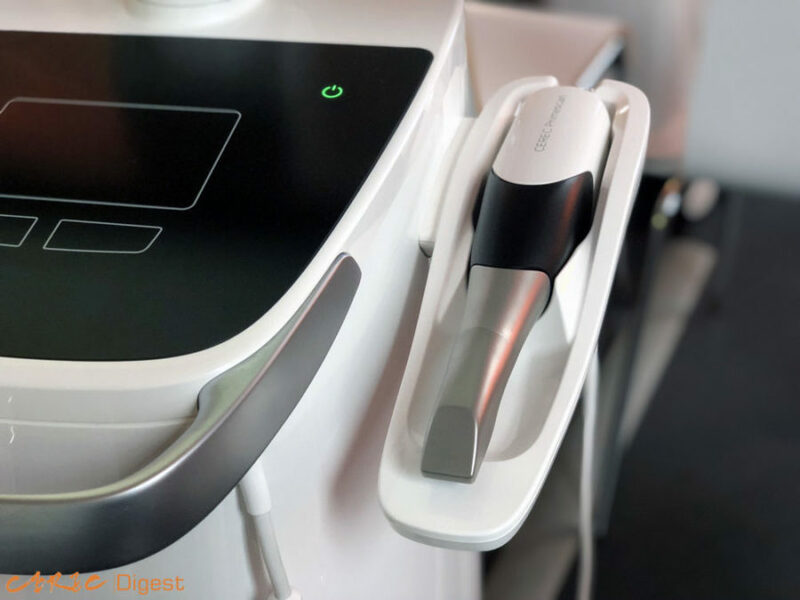 For dental professionals looking to purchase their first intraoral scanner, the ease of use and accuracy offers immediate short term benefits. At the same time, the A.I., the optional modular software, and great communities such as CERECDoctors.com are valuable assets for the longer term. For those of you in the Asian regions, CEREC Asia has some nice resources as well (disclaimer: I’m totally affiliated). For current CEREC users, Primescan offers a fork in the road that we’re already traveling on. Assuming that the Omnicam will indeed get all the latest software updates, I feel that current users will be just as happy with either the Omnicam or the Primescan. In reality, whether you purchase or upgrade to the Primescan will ultimately depend on two factors: price and long term plan. If all you need is something that replaces traditional impression and nothing else, then it really doesn’t matter whether you get the Primescan, the Omnicam, or any other major brand for that matter. 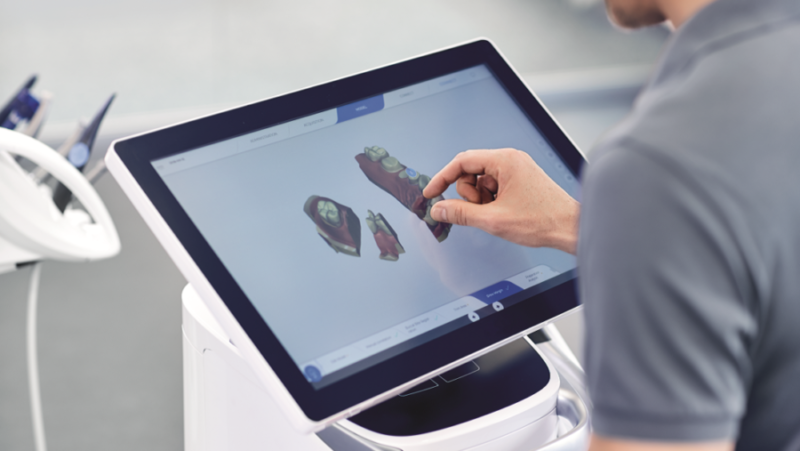 But if you are planning a gradual conversion to the new digital workflow in restoratives, implantology, or orthodontics, then the DI-focused Primescan is a great first step into the CEREC ecosystem. To be honest, nowadays you can do the same treatments with pretty much any system, but CEREC is still the most complete system with the most comprehensive learning resources. It all comes down to how much money and, perhaps more importantly, time you are willing to invest to enter the next stage of evolution in dentistry. If you have any questions or comments, please let us know by leaving a message below. Fantastic article that has answered alot of questions I has when I saw this launch. Thanks for the great images and breakdown of the technology being used. Excited to see these scans coming through soon. Thank you very much. This is the first very useful article that helps to understand this product and its potential. As I’m going to change my blue cam, now I have more technical data to consider. Thanks! I would highly recommend trying it out before you buy. There are more pros and cons than I’ve listed here, I’m sure. 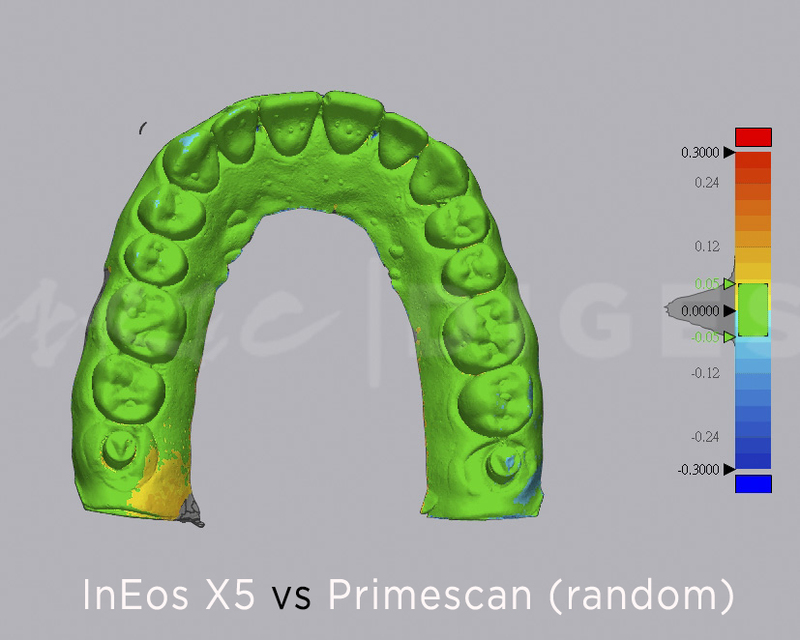 One question: why compare the Ineos X5 with any IO scanner? Unfortunately, the Primescan won’t be arrive in Asia until a bit later, and so our access to this machine is limited for now. We chose the X5 because studies have shown it to be consistent and precise. But you would be correct saying that in vivo testing is much more rigorous. I will update these results once we start using on patient! Thanks for your feedback. Accuracy / trueness / precision of a lab-scanner whould in my opnion always incorporate the deviations that we find with conventional impression techniques. No doubt that the X5 is consistent and precise, the doubt is more how consistent and precise are Stone models. That would lead to the biggest convincing factor that the digital era is upon us. Why settle for less! Nice comprehensive overview. I’m taking delivery tomorrow. Can’t wait for the next chapter. I am a Bluecam user doing single units to full rehabs. Is Primescan or 3 Shape the way to go? Hello. As a bluecam user, you might find the Primescan having a smaller learning curve compared to other intraoral scanners simply because the software and workflow will be very similar. However, if you are simply scanning and sending out to labs, then honestly either scanner will do. Great. Just bought my 2nd omnicam and now this comes out. Thanks for the heads up Patterson! Whats the price of the scan? The exact pricing depends on the region. I’ve seen it quotes anywhere from 45,000 to 70,000 USD. I have been following your articles and I am very impressed with your knowledge on the scanners. I have been wishing to get a scanner for some time but the price tag and the lab I work with have make me postpone my decision to buy. The lab I work with has highly recommended the iTero. I would like to know your opinion about the iTero element 5D and how this compares with the Primescan. Thanks! 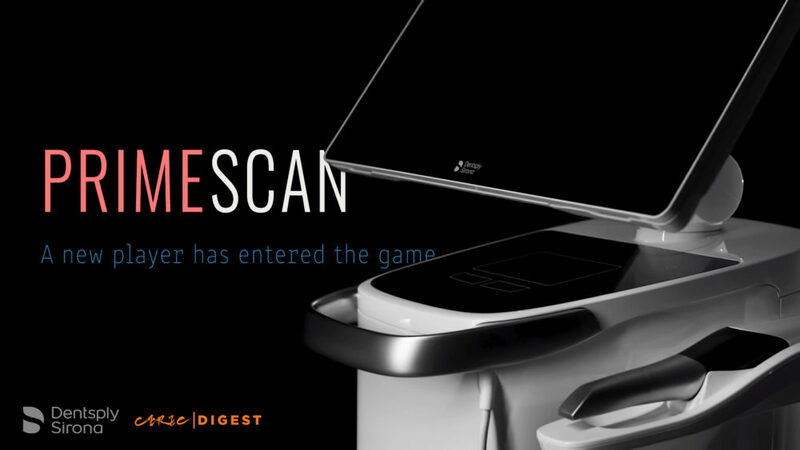 1) What kind of treatments are you planning to use the scanner for? Prosthdontics? Implants? Orthodontics? 2) Are you more interested in improving your current workflow (i.e. speed, quality, etc), or are you looking to expand your treatment options? I am a general dentist and mainly will use it for crown and bridge and I hope that will increase speed and quality.